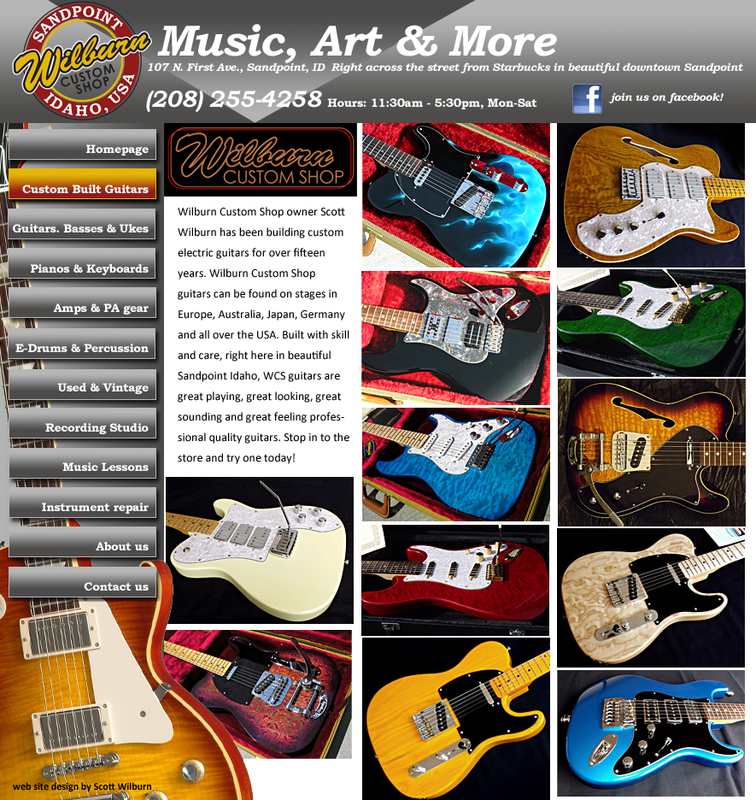 The Wilburn Custom Shop Shop in Downtown, custom-built electric guitars & basses. Customizing services, repair services and upgrade services available. Call (208) 255-4258. The largest music store in Sandpoint Idaho.